The Māori New Zealand Cycling Tour crosses the length of this spectacular southern land. The route takes in its highlights across both the North and the South Island. 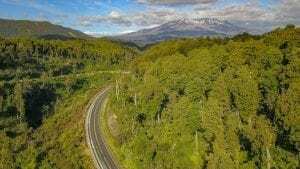 From the thermal wonderland of Rotorua rich with Māori heritage to the Volcano country surrounding Tongariro National Park. From the wild West coast with its pristine nature to the stunning Southern Alps our first Epic Adventure foray into the southern hemisphere ticks all the boxes. 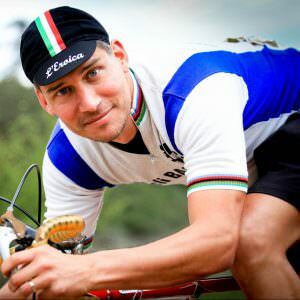 Ben has been working in the bike tour industry for over 10 years and has owned tour companies, designed itineraries and guided all over the world in that time. A traveller to the core he calls Adelaide home but is rarely there these days. 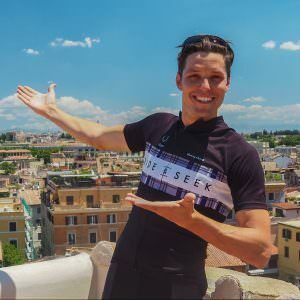 When he is not designing and running tours for Ride and Seek he’ll be found pack-rafting in some remote part of the world or pursuing his charity efforts with Helping Helmets and Africa Goal. His enthusiasm, professionalism, media skills and general tour expertise make Ben a very valued member of the team. Taking the training wheels of my police car painted bike, complete with flashing light and riding down the laneway behind my house with my brother and his fire engine bike. He became a firefighter, I stuck with the bike. Without sounding too much like a hipster, my father’s old Japanese steel Koga - Miyata that I restored and converted into a single speed. Moved through Melbourne traffic like the wind and completed more compliments from bearded men than I care to mention. The Artisan gelateria in Alba (the town that smells of Nutella), enjoyed as an extended dessert on Hannibal. English & German. My French and Spanish are coming on. >Cycling along the rolling coastline of Queen Charlotte Sound. 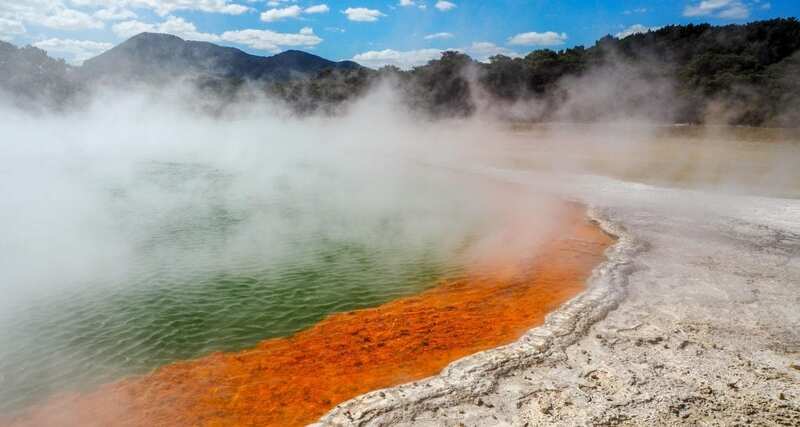 >Exploring the geothermal wonderland around Rotorua with its geysers, fantastically coloured steaming pools and bubbling mud pools. >Cycling through the land of volcanoes made famous through the Lord of the Rings films. >Our ferry ride from the North Island across the Cook Strait to the South Island through Marlborough Sounds framed by lush forested hills. 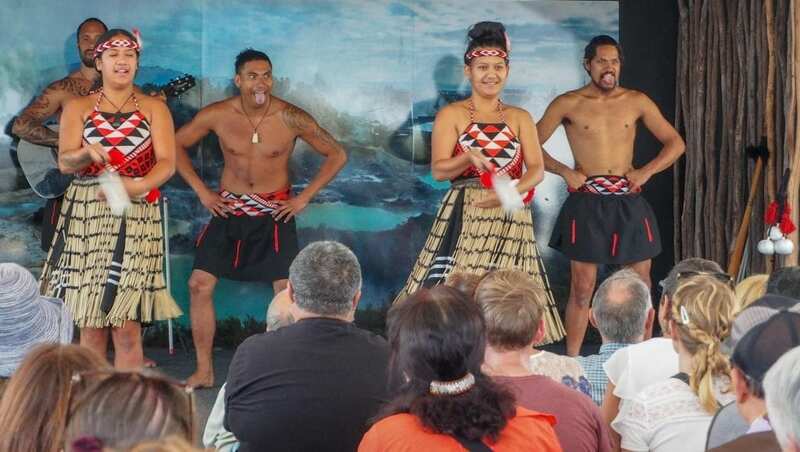 >Maori Culture, with its fascinating oral history rich in song and dance and seen throughout the country by the distinct wood carvings adorning the local Marae ( meeting grounds) and places of cultural importance. >The west coast and the Southern Alps, with their snow-covered peaks, glacier-filled valleys spectacular array of waterfalls and rugged pristine coastline. 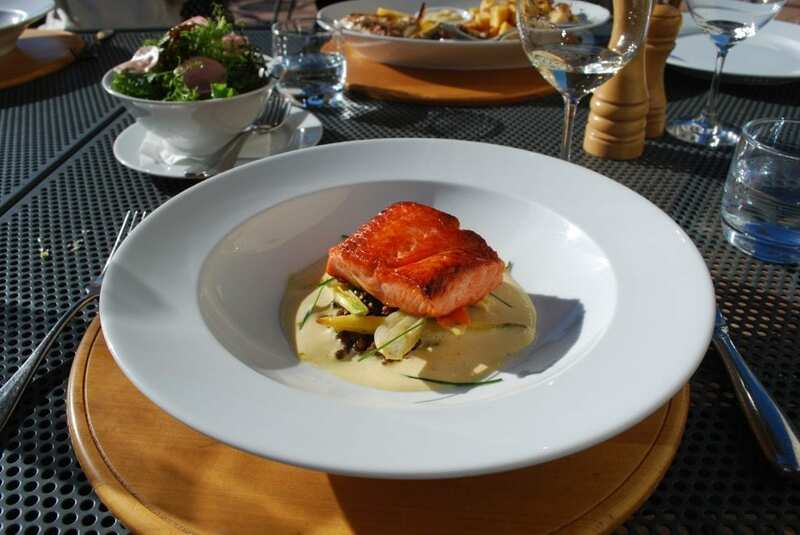 >New world gastronomy with the incredible choice of local produce makes dining a real highlight throughout the tour. 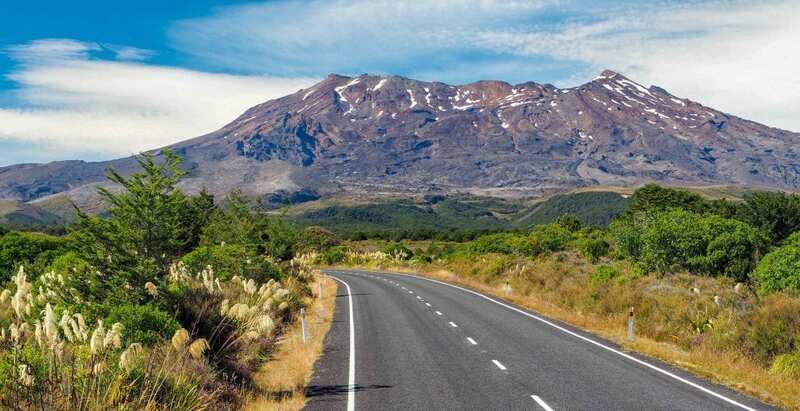 >Cycling up Mt Mount Ruapehu, a still active volcano and in winter the biggest ski field the southern hemisphere. 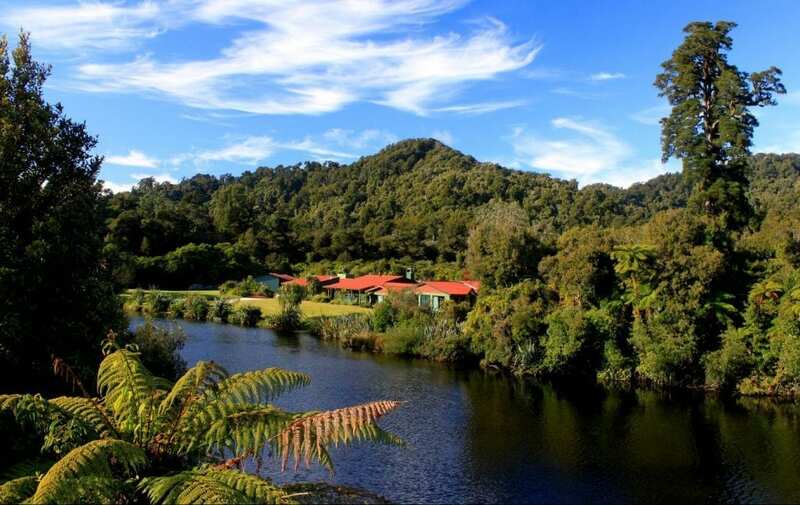 >Rest day at Wilderness Lodge Lake Moeraki a premier nature lodge offering an experience like no other. Walk from your room into a natural paradise of ancient rainforest, kayak pristine lakes and hike rugged beaches. >New Zealand Pinot Noir and Sauvignon Blanc rate with some of the best in the world, but it also has a growing reputation for chardonnay, pinot gris, riesling, merlot and methode traditionelle wines that are all worth tasting! >New Zealand wildlife is like no other, literally! 80% of its species aren’t found anywhere else in the world. A couple you may have heard of is the Kiwi bird and the Kea, the world’s only alpine parrot. > Bike hire – If you don’t bring your own bike we have a fleet of bikes that we are able to rent out. > Deposits – To reserve a place on a stage of this tour you need to pay a deposit of €1000 –(or your local currency equivalent). We also accept payment in GB£ and AU$. New Zealand is world renowned for their seafood, coffee culture, dairy and lamb as well their Marlborough Sounds South Island Sauvignon Blanc. The good news is that New Zealand isn’t defined by what they export so what’s locally available if even better! The green lipped mussels that can be seen along the coast while riding in the South Island are amazing as the salmon on offer. Another highlight is the morning snack break as the coffee culture has spread far beyond the metropolitan areas and it can now be hard to find a bad coffee even in the remote corners of the country. It’s fair to say that Kiwis (the colloquial name for New Zealanders) have shrugged off the colonial influence of tea and become a nation obsessed with coffee with more roasters per capita than anywhere in the world. New Zealand’s history has been closely tied to sheep and although the number has fallen in the last 30 years there are still 7 sheep here for every person so you can expect to see lamb on the menu. 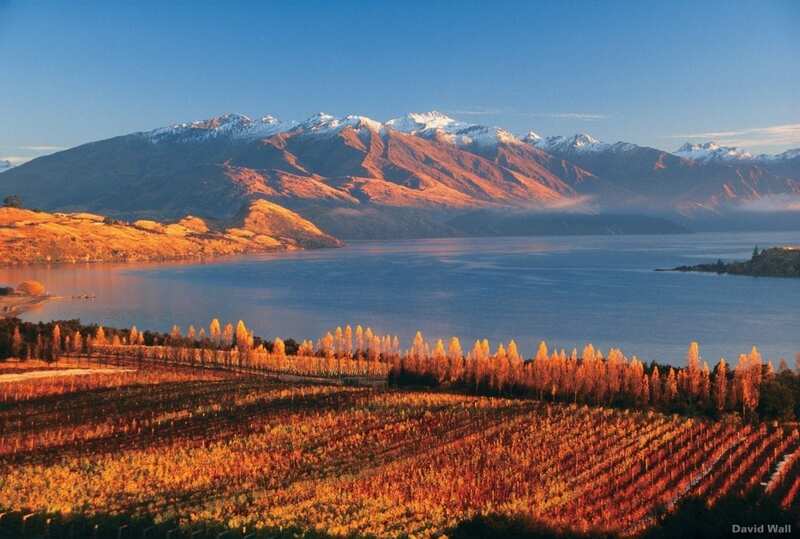 New Zealand, with its warmer summers and volcanic soils in the north and cooler mountain valleys in the south, provides a wide range of climates that produce a delicious variety of excellent wines. 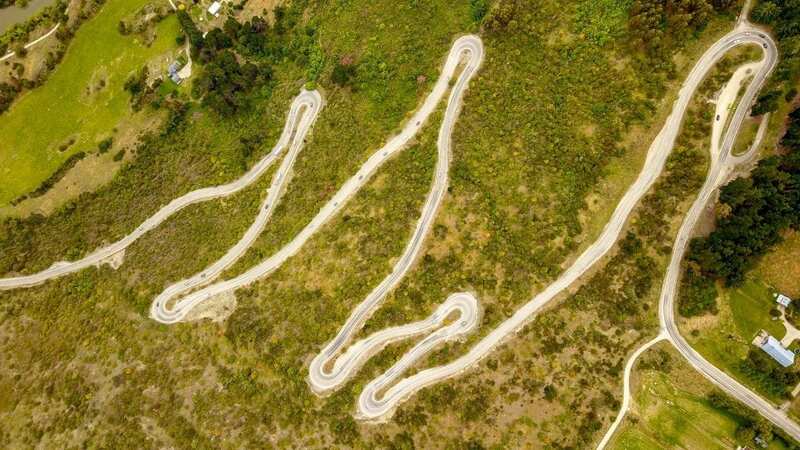 There are vineyards from our first day in Auckland (above) to some of the world’s most southerly vineyards at the end of our ride around Wanaka in the heart of the Southern Alps. 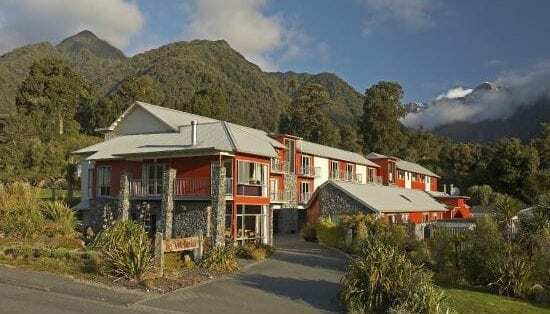 New Zealand is a young country so you won’t find any castles or centuries old monasteries converted into hotels – instead, we have modern hotels, many of them set amongst beautiful forest more ancient than anything you could find in Europe. 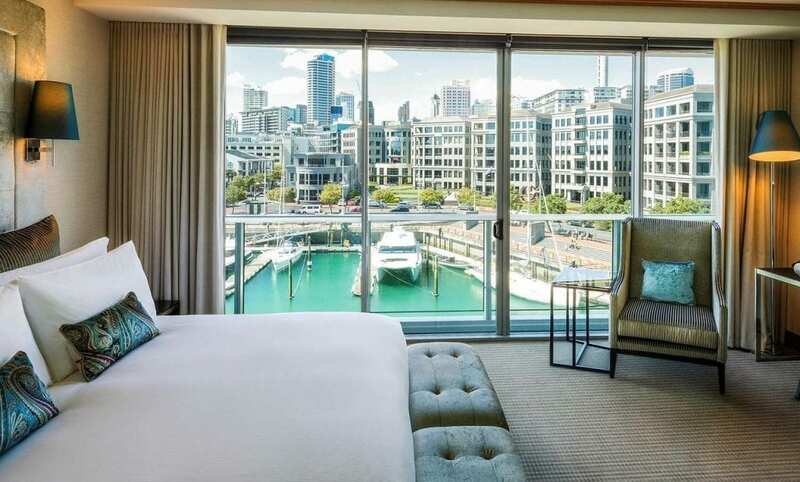 Sofitel – (Auckland) – Inspired by New Zealand’s landscape and culture and boasting panoramic views of Waitemata Harbour, this beautifully designed hotel is a true landmark destination. 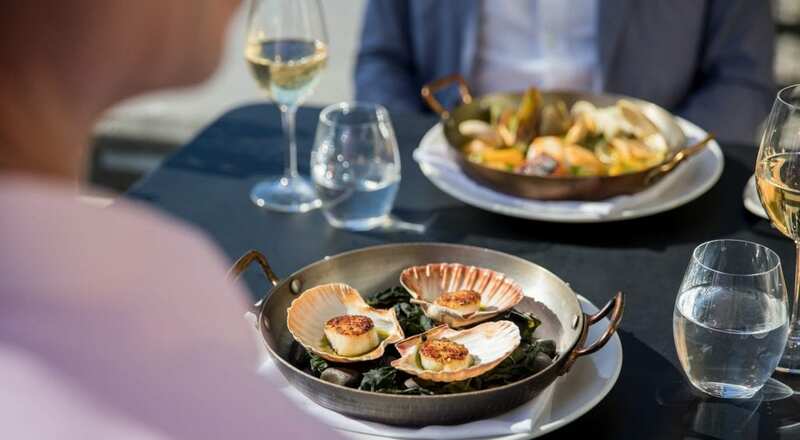 Superbly located on the waterfront in the heart of the Viaduct, Sofitel Auckland Viaduct Harbour harmoniously blends French spirit with the best of New Zealand culture. 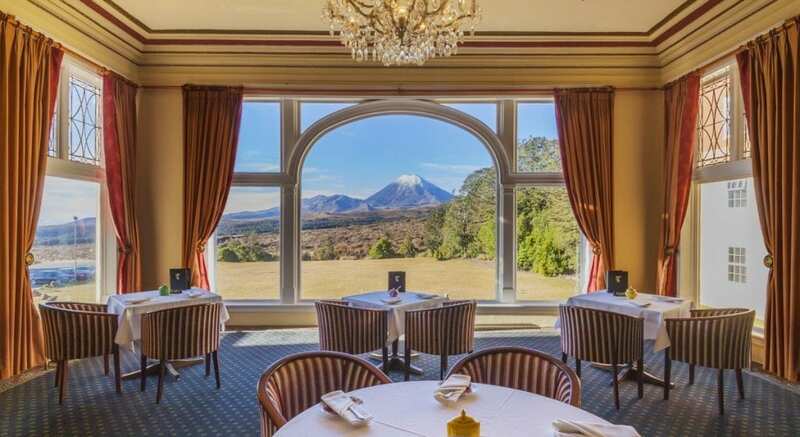 Chateau Tongariro Hotel (Tongariro National Park) – This historical Hotel impresses with its grand architecture and interiors and facilities, which include a 9-hole golf course and a cinema. 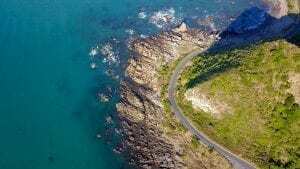 Located within a dual World Heritage National Park providing a stunning natural playground with diverse landscapes to explore on the rest day. Distinction Fox Glacier, Te Weheka Boutique Hotel (Fox Glacier) – Situated beneath the Southern Alps on New Zealand’s West coast within walking distance from the impressive Fox Glacier, Te Weheka Boutique Hotel offers modern, spacious rooms with balconies overlooking the lush native forest. Wilderness Lodge Lake Moeraki (Te Wahipounamu World Heritage Area) – Discover wilderness in comfort and style at New Zealand’s premier nature lodge offering an experience like no other. Walk from your room into a natural paradise of ancient rainforest, kayak pristine lakes and hike rugged beaches. 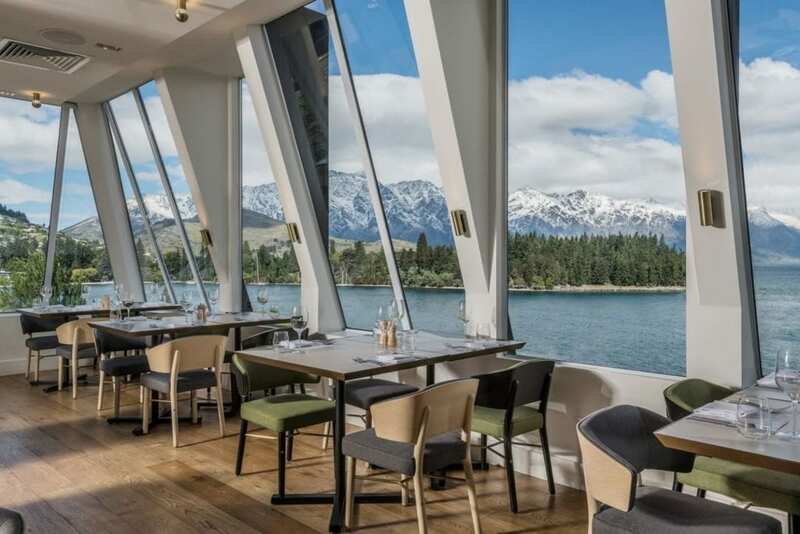 QT Queenstown – Incomparable views over the crystal clear Lake Wakatipu and breathtaking peaks of the Southern Alps set the scene at QT Queenstown. Sitting pretty in nature’s playground, this lush lakeside resort emulates nostalgic alpine and après-ski ambience – perfect for our final night on tour. For a country that has been isolated for 80 million years and discovered by people only in the last 700 years, there is surprisingly much to read about this fantastic country on the edge of the world. The below selection of books (and movies) will have something of interest for everyone, from the history of New Zealand to Māori mythology and tradition to Booker Prize-winning fiction for those that want to experience what life was like at different points throughout this short, but fast-paced history. 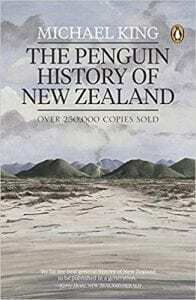 The Penguin History of New Zealand (Micheal King) – New Zealand was the last country in the world to be discovered and settled by humankind. It was also the first to introduce full democracy. Between those events, and in the century that followed the franchise, the movements and conflicts of human history have been played out more intensively and more rapidly in New Zealand than anywhere else on Earth. 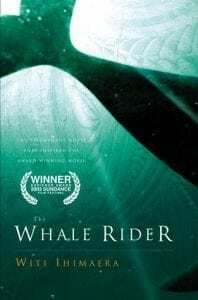 The Whale Rider (Witi Ihimaera) – Now also a beautiful movie – A mystical story of Maori culture. The birth of a daughter – Kahu – breaks the lineage of a Maori tribe. Rejected by her grandfather, Kahu develops the ability to communicate with whales, echoing those of the ancient Whale Rider after whom she was named. 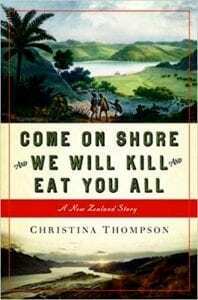 Come On Shore and We Will Kill and Eat You All: A New Zealand Story (Christina Thompson) – Thompson’s book is part personal memoir and part New Zealand history. She tells the story of her romance with her husband, Steven, who is Maori, and the struggles she faced with cultural clashes and mistrust between Westerners and the indigenous group. She also examines the history of the country itself and how its development led to many of these issues. 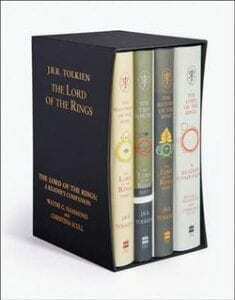 OK, so JRR Tolkien’s The Hobbit (1937) and The Lord of The Rings (1954-55) aren’t about New Zealand at all. But that didn’t stop the five films of the series from being filmed there, inspiring many more people to discover the country’s stunning countryside for themselves. If you don’t want to read the books you might like to get yourself into the mood for your ride by watching the films and enjoying the wide empty landscapes. 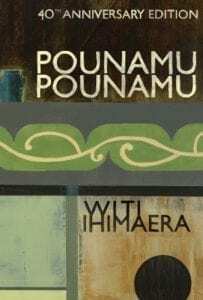 Pounamu Pounamu (Witi Ihimaera) – When Pounamu Pounamu was published in 1972, it was a landmark occasion for New Zealand literature in many ways. It was the first work of fiction published by a Maori writer, it was the first collection of short stories that looked at contemporary Maori life and it launched the career of one of New Zealand’s best-known authors. 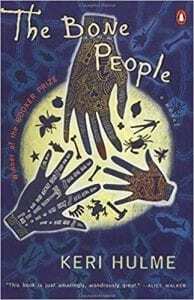 The Bone People – Keri Hulme has created what is at once a mystery, a love story, and an ambitious exploration of the zone where Maori and European New Zealand meet, clash, and sometimes merge. 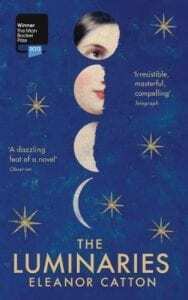 Winner of both a Booker Prize and Pegasus Prize for Literature, The Bone People is a work of unfettered wordplay and mesmerizing emotional complexity. 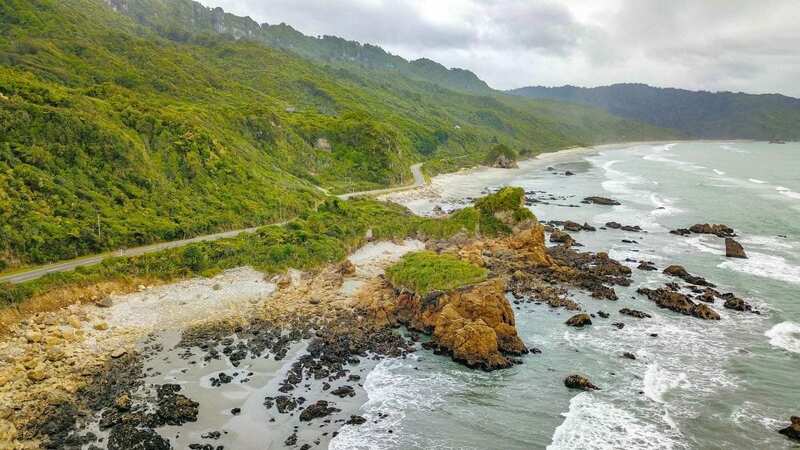 The Māori New Zealand Cycling Tour follows the journey of a fascinating and inspiring people as they travelled across the ocean 700 years ago to arrive in the on North Island near the start of or our tour. The Māori, as they came to be known, with only what they brought with them adapted well to a land that had never seen humans. Isolated from other landforms for 80 million years it moved further east away from Australia and grew through volcanic activity in the North Island and mountain ranges in the South Island. A process that continues today. This strange land was the last to be discovered of all the habitable land masses in the world and was different in that apart from bats, that had managed to fly there it was completely devoid of mammals. New Zealand was and still is a land of birds and reptiles! As the newly formed settlements grew the Māori travelled south down through the land of volcanoes, geysers and colourful bubbling hot pools. This geologically active part of New Zealand became an important part in the mythology of Māori culture. While the culture may be young, it is rich, diverse and has built on its Pacific island origins to become unique in its own right. Using their impressive boat building skills the Māori continued south crossing the Cook Strait to reach the South Island where they settled the coastlines and mountain valleys right to its most southern point. The Māori population in the South Island remained much lower than in the North Island as the winters are difficult and the terrain tough. This is as true as it was 150 years ago, with 3/4 of the New Zealand population residing in the North Island. 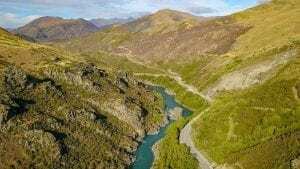 It’s for this reason the South Island is thankfully still a part of the world that showcases how the world once was with its largely untouched nature, which we hope you can come and explore on the best form of transport of all, your bike!